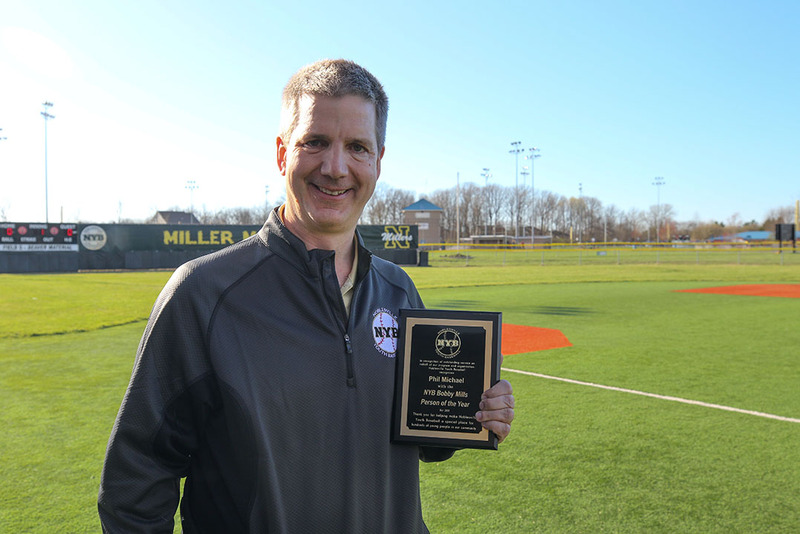 Phil Michael receives the Noblesville Youth Baseball Bobby Mills Person of the Year Award for 2018. From left, Chris Beaver, Noblesville Common Councilor Wil Hampton, Noblesville Police Dept. 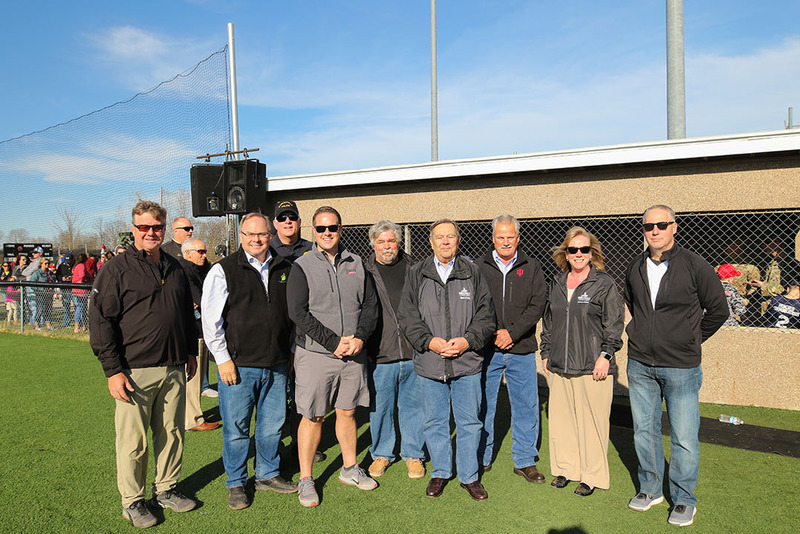 Chief Kevin Jowitt, Noblesville Common Councilors Chris Jensen and Brian Ayer, Noblesville Mayor John Ditslear, Noblesville Common Councilors Rick Taylor and Megan Wiles and Noblesville Fire Dept. Chief Greg Wyant. Noblesville Schools Supt. 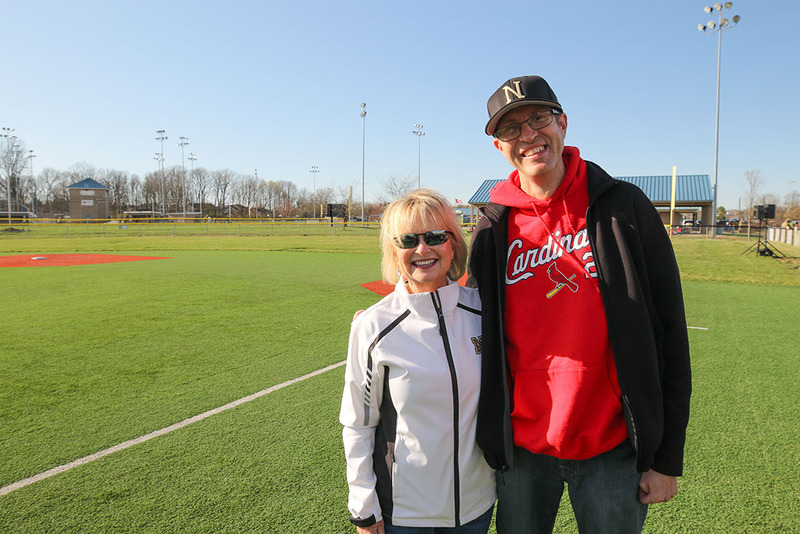 Beth Niedermeyer pauses with Noblesville School Board Vice President Brad Howell. 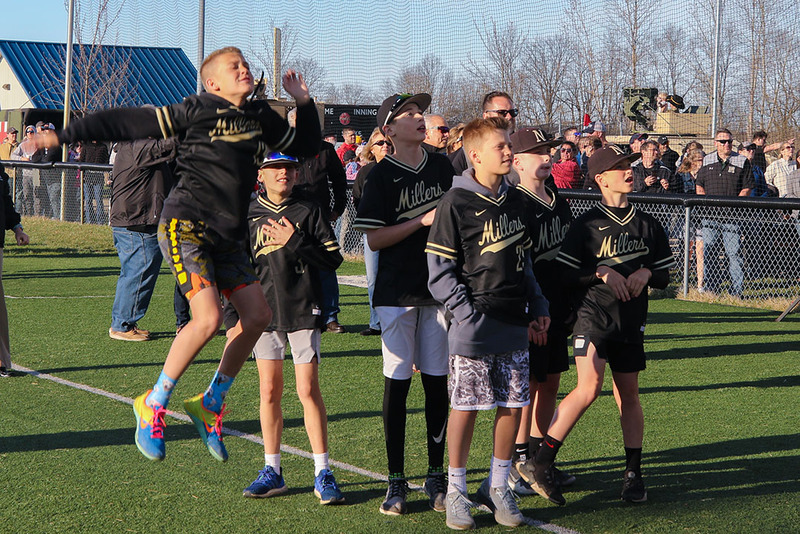 Noblesville West Middle School baseball players cheer on Noblesville Youth Baseball players. 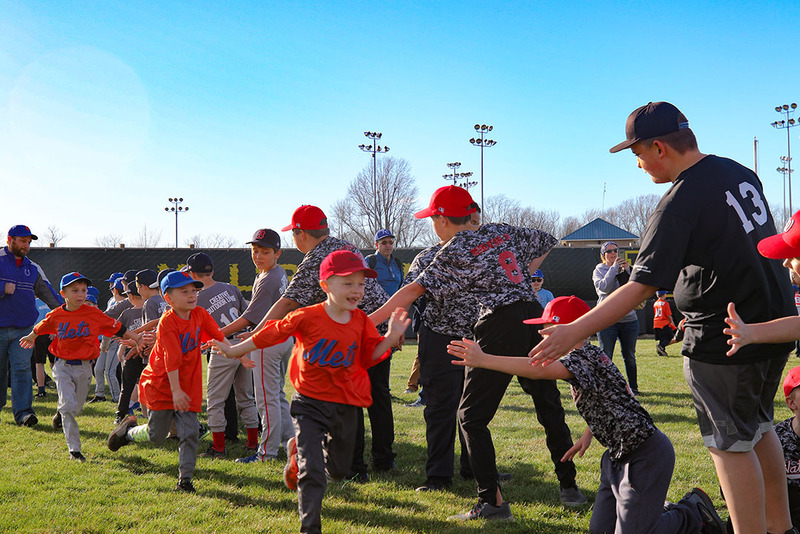 Players from the Mets team give high fives as the team is introduced. 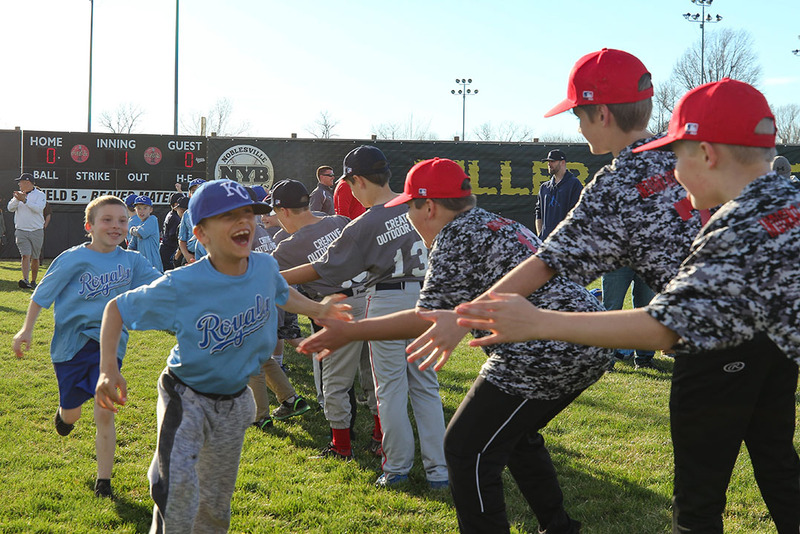 Players from the Royals team give high fives as the team is introduced. 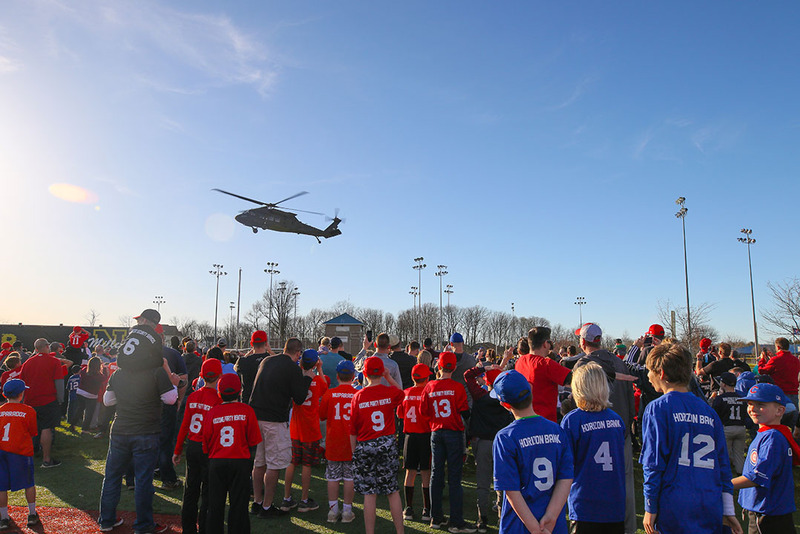 Players and their families look on as a National Guard Blackhawk helicopter flies over the field. 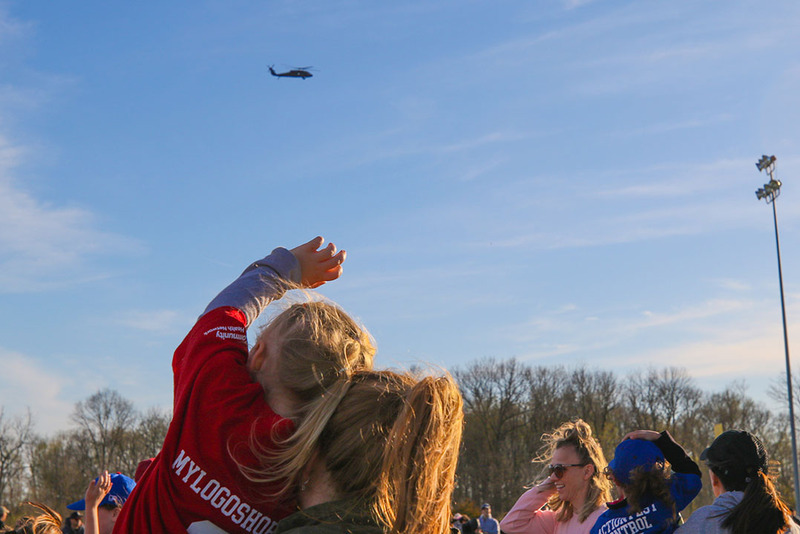 NYB players cheer as they watch the National Guard Blackhawk helicopter approach for landing. 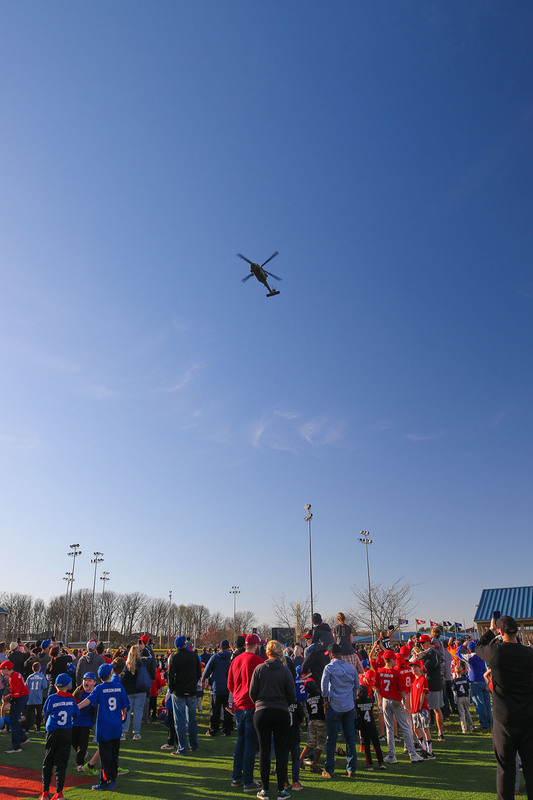 NYB player Lucy Oliver waves to the helicopter as it flies overhead. 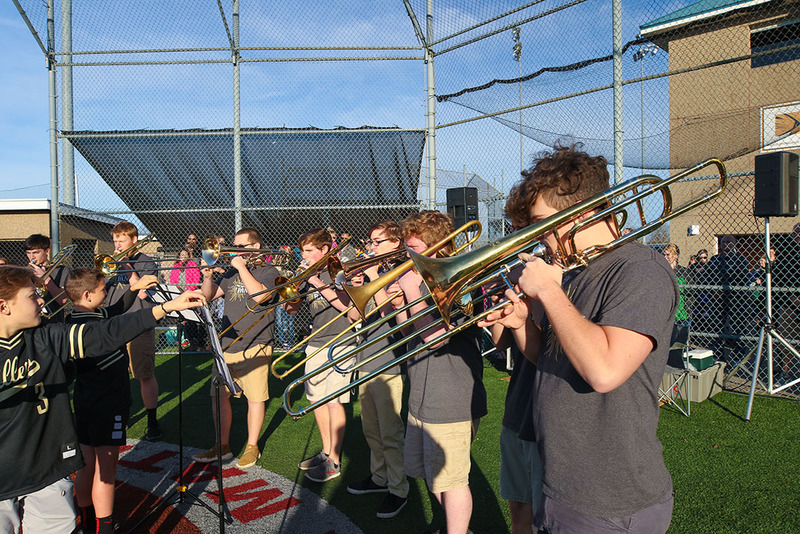 Trombonists from the Noblesville High School band perform the National Anthem. 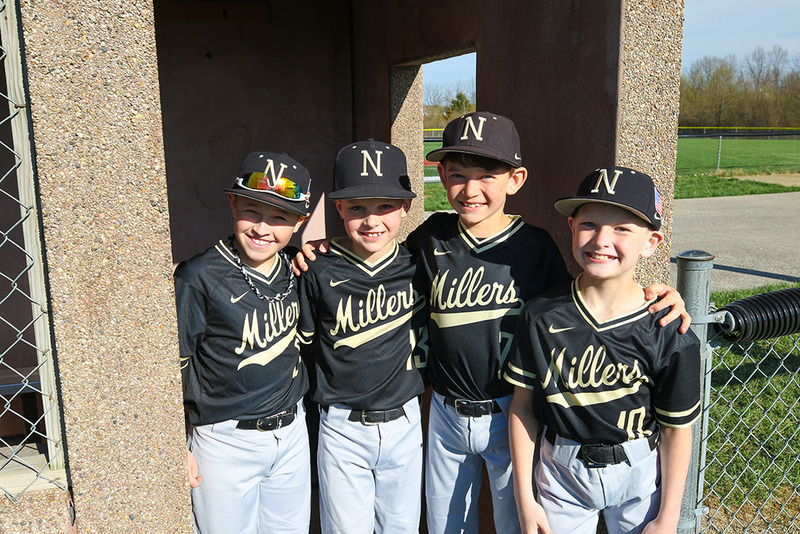 From left, Grayson Struck, Nolan Sizelove, Trey Bjurstrom and Landon Nall. 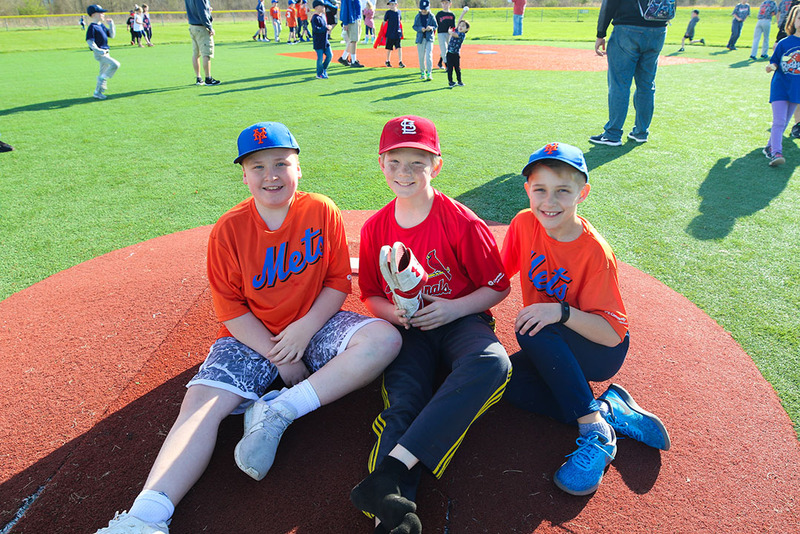 From left, Clayton Parks, Adam Hill and Colin Hargis. 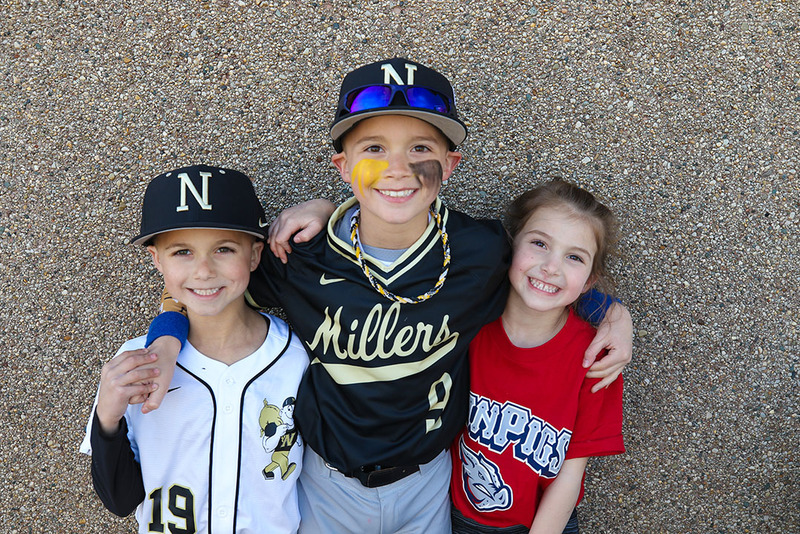 From left, Porter, Palmer and Pressy Hahn. 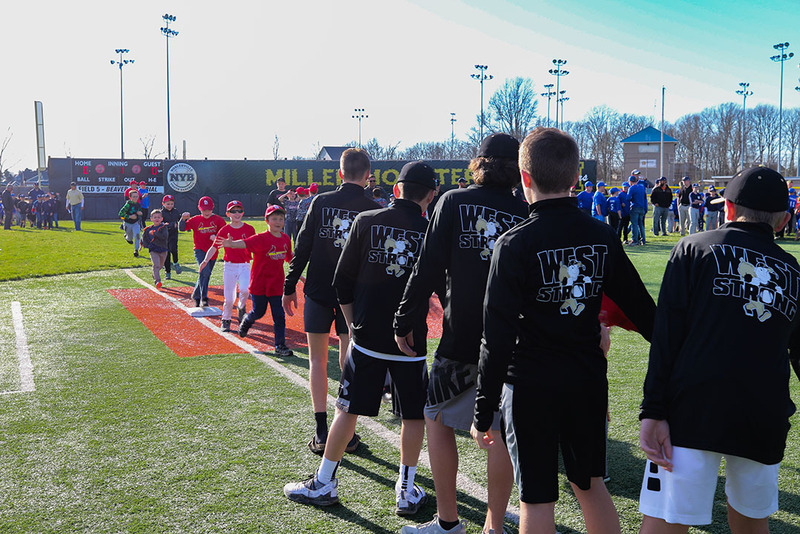 On April 12, hundreds gathered at the Noblesville Youth Baseball Field of Dreams facility off Ind. 32 and Hazel Dell Road to celebrate the organization’s opening day. 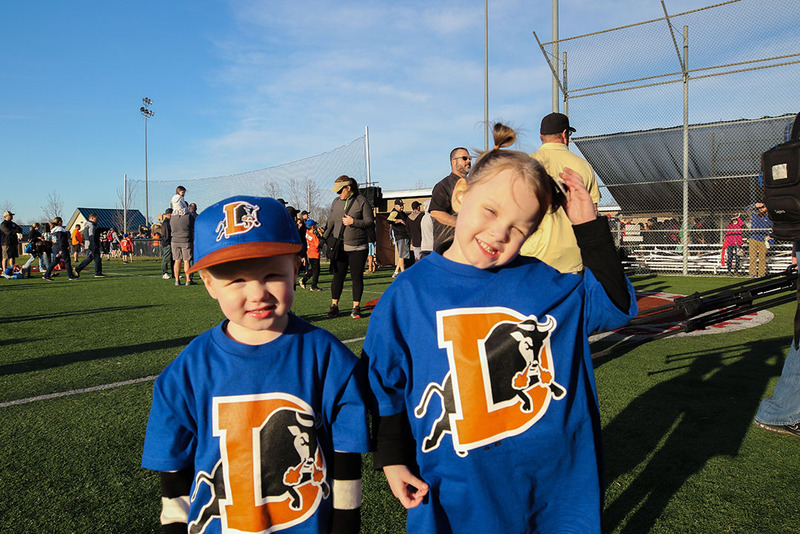 Each year, the event invites players and their families to mark the start of the season with a special ceremony and festival activities like bounce houses, face painting, music, a National Guard touch-a-truck event and a National Guard Blackhawk helicopter flyover and landing. 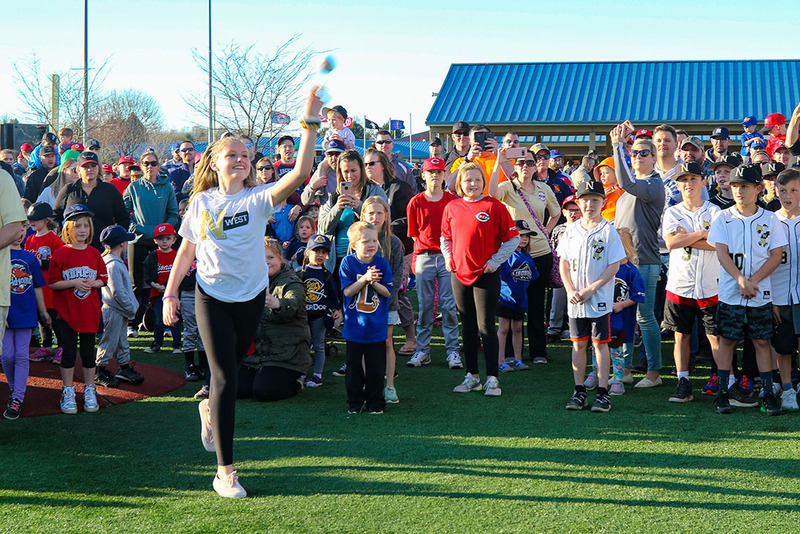 This year, the event also featured Ella Whistler, the student survivor of the May 25, 2018, Noblesville West Middle School shooting, throwing the first pitch of the season. 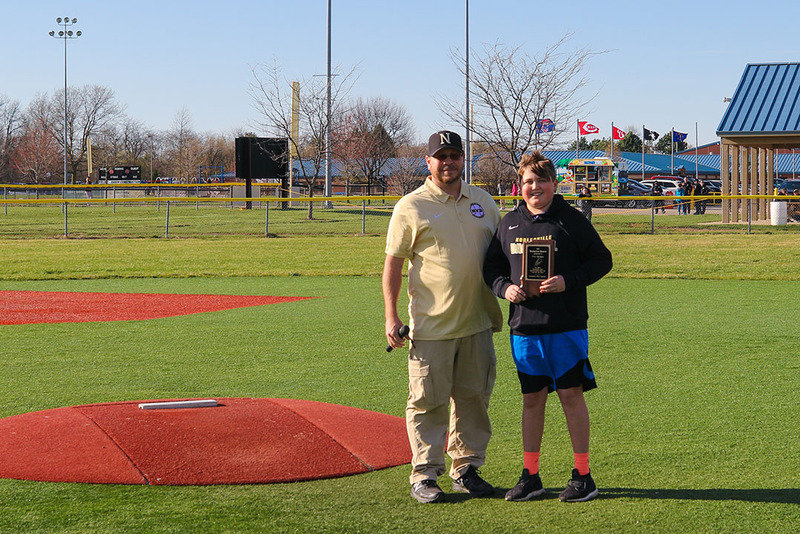 In addition, trombonists from the Noblesville High School band performed the National Anthem after NYB introduced its teams and players.